The story of Wing Machine started in 1985, when two daring young men ventured to start a baked wings business with $47,000. 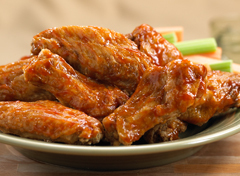 Their secret recipe to make baked wings proved to be successful and by 1994 Wing Machine had expanded to more than 10 locations throught out Metro Toronto. Chicken Wings Aficionados have voted our baked wings Toronto’s best wings. Their lower fat content and rich flavour had build a reputation of great quality and taste for more than two decades. 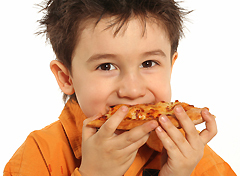 Over the years our customers have become more health conscious. We thrive to meet their needs, providing them with healthier products as well as fast and reliable customer services. At Wing Machine we valued our customers’ patronage and we dedicate all our efforts and means in providing customers with simply the best, that is why we have been serving our comunity for over 20 years. Wing Machine evolved over the years introducing specialty Pizzas and Jerk Style wings to offer more variety to our customers. And by 2000 Wing Machine customers had the option of ordering online and getting our products delivered right to their door by the simple click of a button. 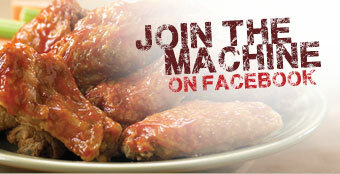 Presently, Wing Machine has expanded to over 30 locations in southern Ontario.